We asked our friends, supporters, and colleagues what words come to mind when they envision what is needed to build a more humane world. Here are a few of their answers: caring, respect, kindness, empathy, dignity, fairness, gentleness, peace, safety, justice and love. We certainly agree. 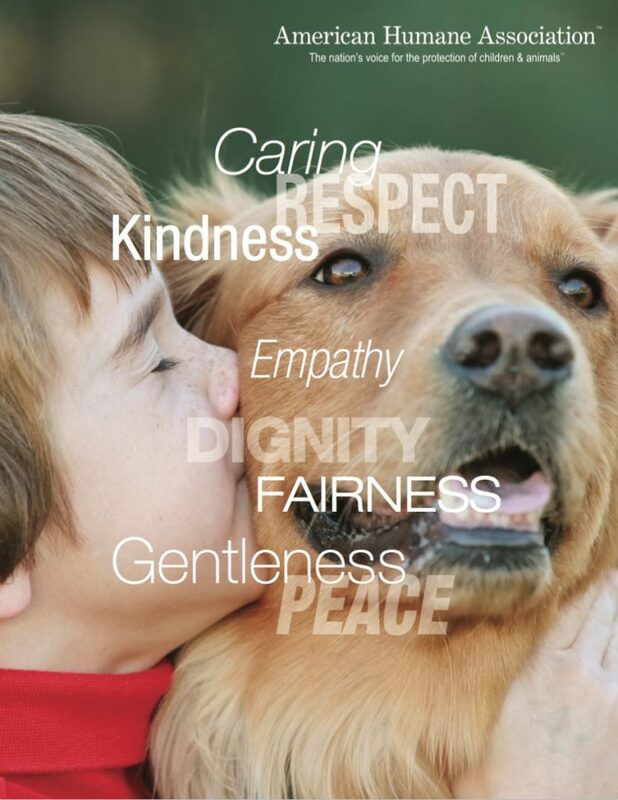 And as America’s first national humane organization working to pioneer so many of the key protections for our children and our animals over the past 137 years, we would also add a few words…such as action, courage, integrity, common sense, compassion – and most importantly for the sake of our most vulnerable, results. Over the past century we have worked to end child labor in this country, prevent animal cruelty in communities, ensure the welfare of farm animals, prevent child abuse, protect millions of animal stars in movies and television, expose inhumane conditions in slaughterhouses, advocate for the reform of the foster care system, and save hundreds of thousands of injured and frightened animals on the battlefields of World War I Europe, at Pearl Harbor, and following Hurricane Katrina, the Joplin tornado, the Japanese tsunami and nuclear meltdown at Fukushima, and Superstorm Sandy. Our goal today and for the past 137 years has been to measurably, demonstrably and significantly increase the number of children and animals who are protected from harm. We invite you to read through our recent and historical achievements. Without American Humane and its legacy of social change, the world would look very different for our children and our animals. Much has been accomplished, but there is much left to be done. We invite you to join us in our work until every last one of our children and animals is safe from cruelty, abuse, and neglect. Together, let’s build a more humane world.